Athanasios Vaios was born in Lamia, Greece, in 1977. 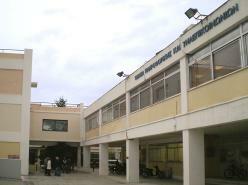 He entered the Electrical and Computer Engineering School of the National and Technical University of Athens in 1994. He received his B.Sc. degree in 1999. He started his postgraduate studies in 2000 at the Department of Informatics and Telecommunications of the National and Kapodistrian University of Athens. He received his M.Sc. in Communications Systems and Computer Networks in 2002. 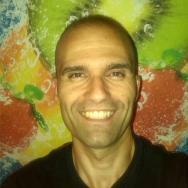 Athanasios acquired his Ph.D. in 2008 (University of Athens, Dpt. of Informatics & Telecom). His work dealt with incorporating multi-hop ad hoc paths in wireless local area networks, in order to achieve larger bandwidth with or without delay constraints. Currently he is responsible for the Communications Network Lab at the same Department.